Aztecs, Alien Trysts, and TARDIS Repair — All in a Day’s Work for Barbara Wright #SciFiSunday « Adafruit Industries – Makers, hackers, artists, designers and engineers! A female Doctor may be a first in Doctor Who history (if we’re not counting Joanna Lumley’s quick cameo in The Curse of Fatal Death as canon) but strong, capable women have always been a staple of the show, right from its inception. From the very beginning the creators of the show did not buy into the damsel-in-distress cliché popularized elsewhere in television and in so many movies. The female companions of the Doctors all had a special way about them—they were feminine but tough, as the Ninth Doctor learns when he meets an athletically nimble Rose Tyler during the inaugural episode of the reboot. They are wide-eyed, but also smart and capable; not just curious but actively inquisitive, like the Third and Fourth Doctor’s formidable Sarah Jane Smith. But if we go back further, to the very source, the very first Doctor, we see that strong women have been a part of the series’ DNA from the beginning when we met our first human companion. 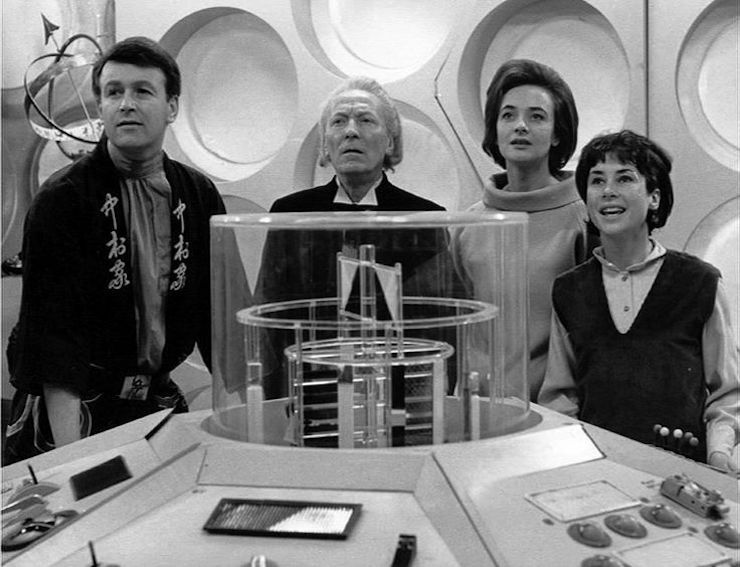 Barbara Wright, who was played by Jacqueline Hill from 1963-65, was the first human woman to ever leave earth and travel with the Doctor, and she was—just like the companions to come after her—a force to be reckoned with.